It was a time of cops on the edge and honor-bound Japanese cops. It was a time of Sho Kosugi, Sam Jones, Rage of Honor, and Maximum Force. It was a golden age of cults and muscles! With extra muscles! You like your missions, your men, and your women all thrown into a big stew of sweatiness?! That was rhetorical! This week's episode covers the manliest macho manfest we're likely to cover all year in the Rod Taylor/Jim Brown spectacular Dark of the Sun and David A. Prior descends from the mountaintops to deliver Mankillers! Be sure to send in your feedback to cultofmuscle@gmail.com and check out cultofmuscle.tumblr.com! The unlikeliest of heroes get thawed from their tombs on this week's episode. Martin Kove and Frank Zagarino make things awkward for everyon in Project Shadowchaser and Brian Bosworth butts heads with Bruce Payne in One Man's Justice. Get out of the son, get into the dungeon, and lift some cement weights. You didn't renovate that basement for nothing! 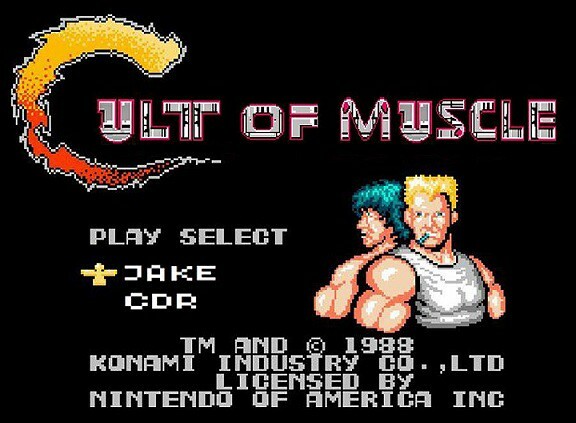 Like the fine gentlemen who had some questions and let us know what they were up watching, be sure to send in your feedback to cultofmuscle@gmail.com and check out cultofmuscle.tumblr.com! This week's episode brings the ruckus with reviews of Blind Fury and Avenging Force. Michael Dudikoff and Rutger Hauer get placed on the altar and Jake's fragile psyche would never be the same. Damn cornfields. This week's episode is filled to the brim with damaged characters, corrupt sociopaths, and even Yaphet Kotto playing dress-up. That means the two movies served up to the altar this week are The Last Boy Scout and Extreme Justice!